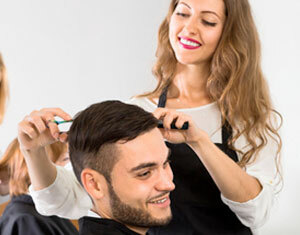 One ‍of the most common techniques for blending hair is using either scissor over comb or clipper over comb technique. It allows you to go to the areas that need blended and remove the weight. Remember it is all about tool position!!! For ‍a man who is thinning/balding on the top to blend the sides in so it doesn't look so "Monk" like cut the hair closest to the horse shoe are shorter than the rest. Pick the section of hair straight up as you would with a long layered cut. Wella Color Touch Plus is a new product that was introduced to the Wella Professional line. Three Blending techniques by Steve Dinser, one of our educators!! !